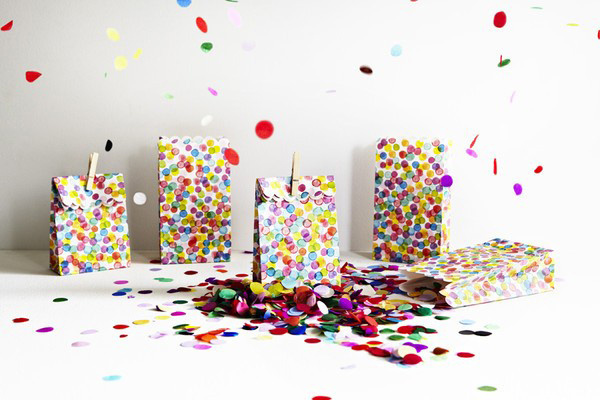 Throw a fun confetti party with Lark! Nothing says ‘party’ quite like confetti. So we’re wanting to holler as loud as we can while throwing great, big handfuls of the stuff around the place because we’ve found an entire party collection devoted to confetti at Lark! Just look at those amazing confetti-filled balloons. What a party starter! Jumbo by name and by nature, the balloons are a whopping 90cm in diameter and pre-filled with confetti. 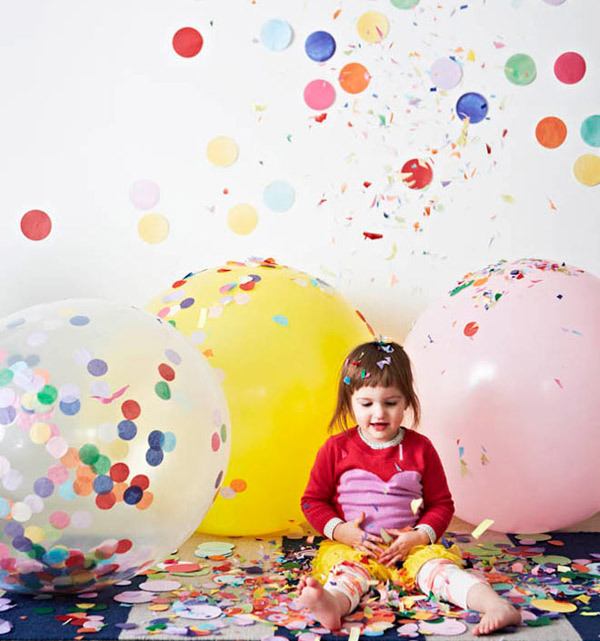 Designed to inflate yourself at home, jumbo confetti balloons cost $16.95 a piece. Team with Lark’s pretty but more normal-sized confetti heart balloons ($5.95) or use the Poppies For Grace confetti balloon kit ($37.95) to create a pretty matching take-home party favour. 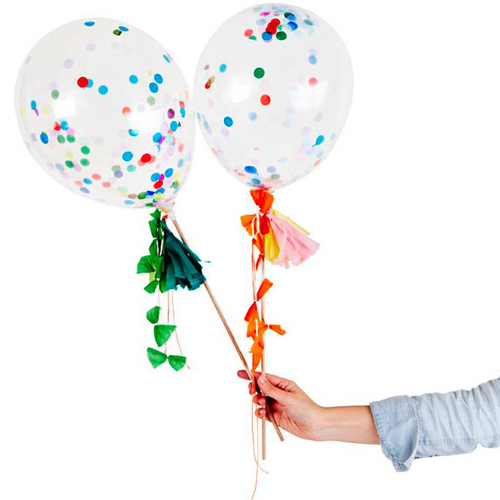 All the balloons are made from strong latex, but with all that delightful confetti on the inside, we’re sure the kids won’t mind if they do go pop. 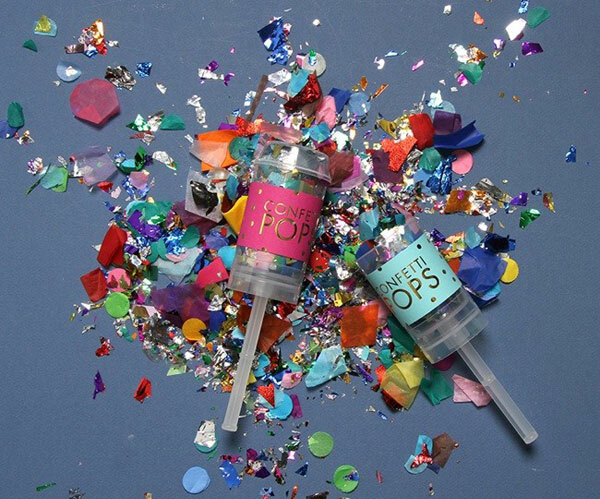 There’s plenty more confetti decorations too, including confetti garlands for hanging, jumbo confetti for throwing or scattering and confetti push pops for creating that special celebratory burst of shiny paper when the party hits its “hip-hip-hooray” moment. 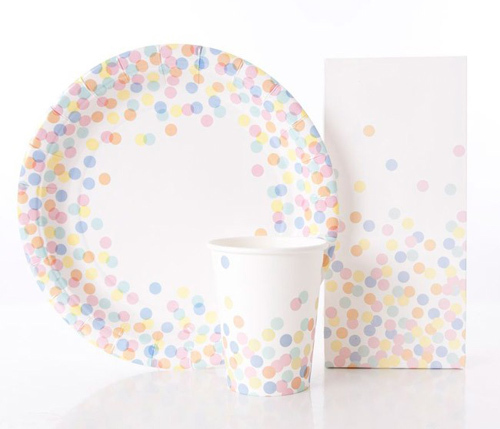 Extend the confetti craze to the party table with baking cups, treat bags, paper plates, cups and other confetti-patterned tableware, all priced from $7.95. 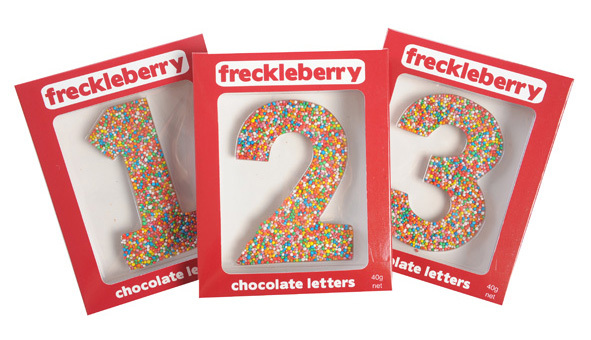 And don’t forget pretty matching wooden spoons for eating up the birthday cake, or these delicious Freckleberry chocolate freckle numbers. Truly the easiest and most impressive way to dress up a confetti-themed birthday cake ever, and only $4.95. Browse everything in the confetti range online at Lark, with flat-rate delivery available across Australia.